An energetic Clearing and Purification of your Space. 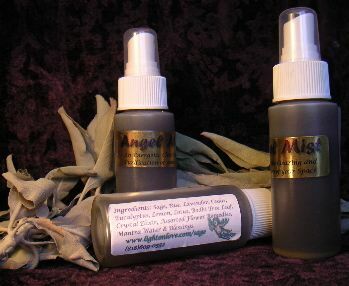 Mist Spray Bottle. 2 oz. Ingredients: Sage, Rue, Lavender, Cedar, Eucalyptus, Lemon, Lotus, Bodhi Tree Leaf, Crystal Elixir, Flower Remedies, Mantra Water, Blessings.